Hello Friends, Welcome back to Hackers Zone. Today i will teach you basics of Reverse Engineering and in further hacking classes we will discuss it in depth with practical reverse engineering examples. Today we will discuss what is reverse engineering? How its useful for ethical hacks? Common terms used in reverse engineering. 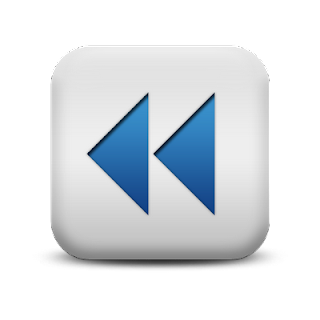 In next post i will share the best reverse engineering software's and tools that i normally use to reverse engineer any program, software or windows file. So friends, lets start our hacking class of reverse engineering. Have you ever noticed, Nokia or Iphone made an application and after few days you find that on Samsung or any other mobile device. Its nothing that difficult, its called reverse engineering. They decode their programs to get the basic structure of the original program and then following the structure codes their own and sometimes doesn't even happen just make some code changes and uses them. According to Wikipedia "Reverse engineering is the process of discovering the technological principles of a device, object or system through analysis of its structure, function and operation. It often involves taking something (e.g., a mechanical device, electronic component, biological, chemical or organic matter or software program) apart and analyzing its workings in detail to be used in maintenance, or to try to make a new device or program that does the same thing without using or simply duplicating (without understanding) the original". Ahh.. more technology related. I will explain you in better way. As the name suggest reverse engineer means if have something already made, in computer field say exe installer file. Now what reverse engineering is, decoding the exe in such as fashion that we will get original source code or some what near to it. Consider an example, you have a wall made of bricks, here bricks are base material to build the wall. Now what we want to do is we want to obtain all the bricks from the wall. Similarly we have an executable or dll file and we know programs are made from coding only, so source codes are base material in building executable. So we want to obtain the source code from the executable or some what near to it. As when you break wall also to get the bricks some bricks are also got broken and that's all depend type of material used to fix or mend bricks to make the wall. Similarly the retrieval of source code from executable depends upon how securely software is being packed and type of cryptography or packer is used by its designer. What is the use or benefit of Reverse Engineering? I can guarantee most of internet users use cracks or keygens or patches. Have you ever tried to understand how they are made. Ahhh... I know you haven't. So let me give you clear information. 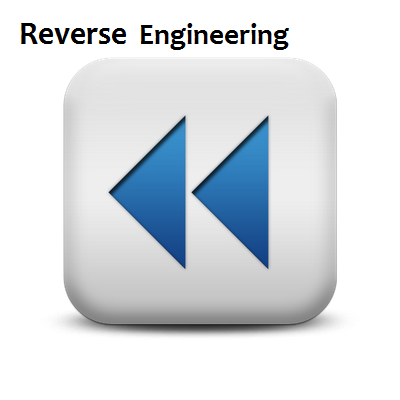 All the keygens or cracks or patches of software's are made by technique called Reverse Engineering. Oops... I was going to tell the benefits.. what i am telling...negative features... But these are features of reverse engineering my friends and most commonly used by all famous organizations as its a part of their Program promoting methodolgy. Last but not the least..Learning: learn from others' mistakes. Do not make the same mistakes that others have already made and subsequently corrected. I will explain these terms in detail in my next article. Till then you can explore these topics on internet so that you will have some prior knowledge of Reverse Engineering terms. Note: Reverse Engineering articles will going to be more advanced and technology oriented which surely requires prior knowledge of Assembly language specially registers and accumulators and several reverse engineering commands like JMP, DCL etc.. I hope you like the introduction class of reverse engineering.. If you have any issues ask me in form of Comments..